"... Mr Hutchins made urgent calls for assistance around the country, including one to Kevin Zeese of NORML in Washington. Mr. Zeese contacted one of the most prestigious law firms in the country, Covington & Burling of Washington, D.C. Lawyers David B. Isbell and Michael G. Michaelson, who is also a medical doctor, entered the case pro bono on behalf of Joe Hutchins, arguing in their first memorandum of law filed in November 1985 the the defense of medical necessity should be heard. A judge issued another stay of the case and the case is now on appeal." Covington & Burling has been directly involved with drug policy reform organizations through their pro bono program since at least 1988. It was then when the firm selected an attorney that they hired in 1987, and who is subsequently listed as insurance, food additive and pharmaceutical industry specialist, to advise the Drug Policy Alliance’s predecessor organization, the Drug Policy Foundation, and at Covington since. In 2005 the firm’s web site (Health page) would note their long standing involvement with drug policy reform organizations. Commonwealth v. Hutchins. We represent Mr. Hutchins and the interests of similarly situated patients for whom the medical use of marijuana is necessary, in a variety of state and national initiatives aimed at decriminalizing such use. We work closely with the Drug Policy Foundation, the Marijuana Policy Project and sympathetic members of Congress and selected state legislatures. 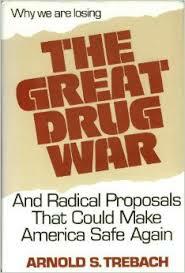 American Civil Liberties Union - Drug Policy Litigation Project. We were asked to assist the ACLU in preparing a letter to the Drug Enforcement Agency in support of an application by a professor at the University of Massachusetts for registration to manufacture or distribute controlled substances for the purposes of a scientific study on medical marijuana. Specifically, they requested that we opine on the consistency of the application with the United States' treaty requirements pursuant to the 1961 Single Convention on Narcotic Drugs. We have continued to provide advice on related aspects of this matter. "The Multidisciplinary Association for Psychedelic Studies (MAPS) has received free legal representation in a lawsuit against the DEA over a license to grow marijuana for federally regulated research. The D.C.-based law firm Covington & Burling LLP, one of the foremost law firms representing the pharmaceutical industry, has offered pro-bono legal representation to the research group to appeal the DEA’s August 15 final order in the First Circuit Court of Appeals. MAPS estimated the law firm saved them $175,000 in legal costs. The DEA rejected University of Massachusetts professor Lyle Craker request to obtain a license to grow marijuana to study its potential medical uses, claiming that the National Institute on Drug Abuse (NIDA) can be the only one to supply marijuana for Food and Drug Administration (FDA)-regulated research." The founders of Covington & Burling foresaw the pervasive effects of the forthcoming era of federal legislation, regulation, and taxation. 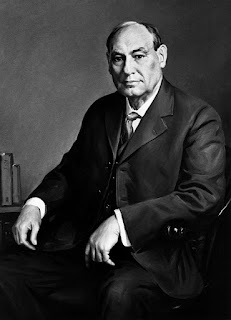 In 1919, they sought to create a firm in the nation's capital that could advise and represent corporations located anywhere in the nation or the world on a wide range of legal issues. Today our Washington office has over 300 lawyers representing clients according to the highest standards and fulfilling the firm's strong commitment to public service. Our lawyers are supported by nearly 100 paralegals and by information management specialists in the library, and in the litigation and practice support, and technology departments. 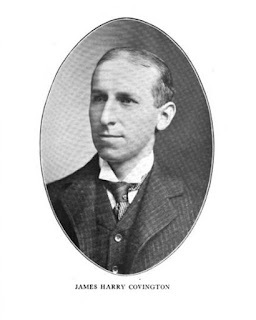 The firm was founded by James Harry Covington, a law professor at Georgetown University Law, had served as a federal judge who upheld the Harrison ‘narcotics’ Act of 1914, after serving as a US Congressman who was present at the Congressional deliberations regarding amending the 1906 Pure Food and Drugs Act that led to the creation of the 1914 Harrison Act. That case would uphold the Harrison Act’s delegation of regulatory authority to the U.S. Treasury Department to define what constituted ‘professional medical practice’- effectively giving that entity the authority to practice medicine without a license. The firm is described as "...not just another law office..."
Covington & Burling is not simply a leader in representing food and pharmaceutical interests, but also the Tobacco-cigarette industry. Naturally thus, the participation of Covington & Burling in the drug policy reform-legalization movement is potentially quite eyebrow raising- and deserves spotlighting via a panel as here proposed. - Attorneys with the pro bono program with groups as the Drug Policy Foundation-Drug Policy Alliance. 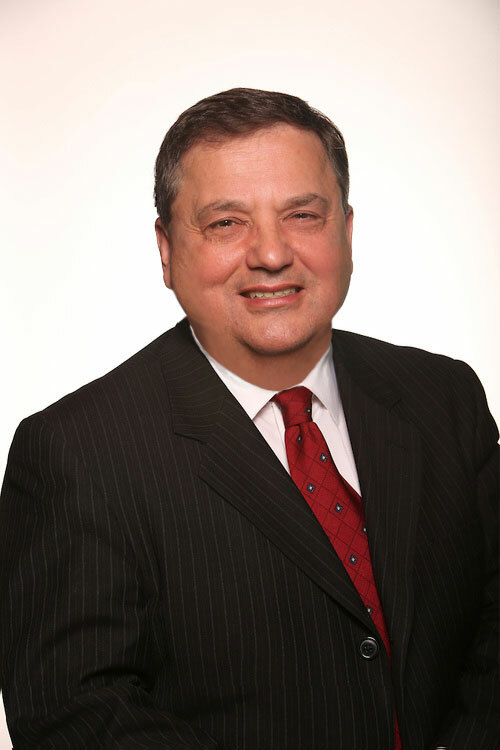 - Attorneys who have worked upon various cases such as Raich v, Gonzales. - Marialuisa Gallozzi, the C&B attorney in 1988 “assigned primary responsibility for advising the [drug policy] foundation”; a partner in the insurance coverage and food and drug practices. ... [who]… provides food and drug advice to manufacturers of medical devices, over-the-counter drugs, and dietary supplement;, author of a landmark paper on ‘“The (U.S.) Food Industry’s View About the Development of Plant-made Pharmaceuticals and Industrials” (GMO tobacco plants for growing patentable molecule pharmaceuticals) presented at the 2004 USDA conference panel “Perils and Pitfalls of GMOs”; She is described as as a “rising star ... an intellectually strong negotiator and adviser with excellent judgment.” [who is] “really making a name for herself”; who worked on shepherding the regulatory process for various food additives, including that by 3M during the early 1990s; cited as a Charles F.C. 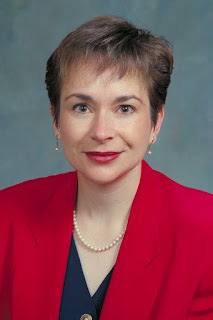 Ruff Pro Bono Lawyer of the Year (2004). In 2014 she was cited by Business Insurance magazine as a "Woman to Watch". The firm hired her in 1987, where she works to this very day. 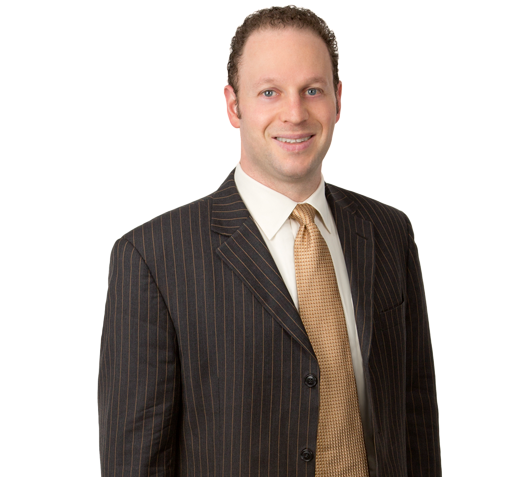 - Joshua Greenburg , formerly with Covington & Burling and now with Womble Carlyle, also of Washington, D.C. . According to Angela Raich’s web site, Greenburg “ practices focuses on products-liability and appellate litigation. Before joining Covington and Burling, Josh clerked for Judge Thomas L. Ambro of the U.S. Court of Appeals for the Third Circuit from 2001 to 2002”. A panel as this would be invaluable not only for spotlighting the Covington & Burling role in drug policy, but as well present an opportunity for an exchange hopefully leading to an improvement with new and different initiatives to end the drug war as a logical way to address the the karma of the firm's co-founder's involvement in assisting in bringing about prohibition during the early 1900s. According to the White House National Office of Drug Control Policy, "Since 1996, 20 states and Washington, D.C. have passed laws allowing smoked marijuana to be used for a variety of medical conditions." This trend reflects what seems to be a growing national tolerance for the use of marijuana for both recreational and medical purposes. In our time, the recreational use of illicit drugs has become increasingly widespread. The National Institute on Drug Abuse (NIDA) notes that "Illicit drug use in America has been increasing. In 2012, an estimated 23.9 million Americans aged 12 or older-or 9.2 percent of the population-had used an illicit drug or abused a psychotherapeutic medication (such as a pain reliever, stimulant, or tranquilizer) in the past month. This is up from 8.3 percent in 2002." The NIDA goes on to note that "The increase mostly reflects a recent rise in the use of marijuana, the most commonly used illicit drug... In 2012, there were 18.9 million current (past-month) users-about 7.3 percent of people aged 12 or older-up from 14.4 million (5.8 percent) in 2007." Some argue that moderate use of a drug like marijuana, which often is seen as non-addictive and a much milder drug than heroin, is no different than having a glass of wine at dinner. However, medical experts have found that marijuana has far more harmful and complex psychoactive effects than a glass of wine. In this document, the focus will be on the guidance scripture offers concerning substance abuse. The Bible is clear that drunkenness is wrong (Proverbs 23:21, Isaiah 28:1-8). It makes one vulnerable not only to excessive actions but conduct inconsistent with Godly living. Consequently, using an alcoholic beverage and, by extension, a drug to alter one's mind and emotional state is not only unwise in itself, it is also, more importantly, unacceptable to God. Given the inherently intoxicant nature of hallucinogens, virtually any use of such drugs as marijuana can be viewed as counter to scripture. None of us can sustain the sound minds and healthy bodies God desires us to have when we place ourselves under the controlling influence of something other than his Spirit. In fact, Paul the Apostle warns believers in Ephesians 5:18 not to be drunk with wine, then contrasts drunkenness with the "filling" of the Spirit. He thus infers concern that just as the Holy Spirit would fill every area of our beings, wine can do the same thing, thereby usurping the role of God in one's life. The principle: Don't let anything but the Spirit of God control your thinking and acting. The implication for marijuana, which is mind-altering, harmful to the brain, and potentially addictive, is clear. Additionally, there is really no such thing as "safe" substance abuse. As the Catholic Church's Council for Health Care Workers notes in a recent publication, "so-called soft drugs... [foment] the same type of dependence mentality and the loss of personal dignity that hard drugs produce." From the dietary laws of the Old Testament to Paul's injunction to Timothy to drink a little wine for his stomach's sake (1 Timothy 5:23), God's Word instructs believers to be wise stewards of the physical bodies. He has given humans bodies for his own glory and their own good. Jesus modeled this concern when he called his disciples to "come aside to a deserted place and rest a while, for ... [because] they did not even have time to eat" due to the constant demands of the crowds (Mark 6:31-32). Consuming a substance that is intrinsically harmful and that diminishes the capacity of the mind and spirit to respond obediently to God clearly violates the scriptural call to faithful stewardship of the body. As Paul asks the Corinthians, "Do you not know that your body is a temple of the Holy Spirit within you, whom you have from God?" (1 Corinthians 6:19-20). This rhetorical question invites its own answer: If our bodies are his, they do not belong to us and should be stewarded in such a way as to be ready instruments in Christ's hands. "Present your bodies a living sacrifice," Paul told the church in Rome, "holy, acceptable to God, which is your reasonable service of worship" (Romans 12:1). Presentation of our bodies, our very lives, to God is impossible when a drug like marijuana clouds judgment and destroys the capacity for human-divine fellowship. [DW note- IOW lie to yourself and pretend that Cannabis is intrinsically unhealthy to consume in any amount while alcohol may be acceptable]. Throughout scripture, self-control is presented as one of the chief characteristics of the godly person (e.g. Titus 2:11-14; Galatians 5:22-23). A person under the control of anything other than the Spirit of God, be it alcohol, marijuana, or any drug that removes our ability to think coherently and respond honorably to the Lord, is an idol and a dangerous replacement of the work of the Spirit and the Word in our lives. The Christian has been "predestined to be conformed to the image (God's) Son," Jesus Christ (Romans 8:29). Such conformity is impeded when the believer submits his mind and will to something other than his professed Lord. As Jesus said, no one can serve two masters (Matthew 6:24). Either Christians serve themselves and gratify "the desires of the flesh" (Galatians 5:16) or consciously, constantly, and committedly serve Christ. There is no middle ground, and substance abuse, including the use of marijuana as a vehicle for recreation, offers a stark contrast to submission to the King of kings. God's Word also calls Christians to submit to the governing authorities (Romans 13:1-7). Whatever laws are changed or modified at the state level, "It is important to recognize that these state marijuana laws do not change the fact that using marijuana continues to be an offense under federal law. Nor do these state laws change the criteria or process for [Food and Drug Administration] approval of safe and effective medications." If, then, Christians are to follow the dictates of the law insofar as they are consistent with God's Word, they should avoid practices that violate statutes established by the authorities set over us by God. This includes obedience to drug laws. In the New Testament, the Greek word pharmakeia (from which we get our word "pharmacy," or drug store) is used for "the employment of drugs, for any purpose; sorcery, magic, enchantment." In Revelation 9:21 for example, the relationship between the use of drugs ("magic potions") and accessing the demonic world is very clear (cf. Grant Osborn, Revelation. Grand Rapids: Baker, 2002, p. 387). Drug abuse was seen in the ancient world as aiding the user to enter the presence of the demonic. Having lost control of his mind, the person on drugs could more easily be influenced by evil spirits. While to the modern eye this may appear curious, the relationship between substance abuse and demonism is evident in the New Testament and in many areas of the developing world today. (The) scientific study of the active chemicals in marijuana, called cannabinoids, has led to the development of two FDA-approved medications already, and is leading to the development of new pharmaceuticals that harness the therapeutic benefits of cannabinoids while minimizing or eliminating the harmful side effects (including the 'high') produced by eating or smoking marijuana leaves ... Research funded by the NIH is actively investigating the possible therapeutic uses of THC, CBD, and other cannabinoids to treat autoimmune diseases, cancer, inflammation, pain, seizures, substance use disorders, and other psychiatric disorders. Given the potential benefits, some Christian leaders argue that the limited use of therapeutic cannabinoids for medical purposes is justified. However, no prominent Christian leader or denomination believes that the broad decriminalization of marijuana or its common usage reflects the Christian virtue and maturity God calls his people to model. The use of drugs inflicts very grave damage on human health and life. Their use, except on strictly therapeutic grounds, is a grave offense. Clandestine production of and trafficking in drugs are scandalous practices. They constitute direct co-operation in evil, since they encourage people to practices gravely contrary to the moral law. Rob Schwarzwalder serves as Senior Vice President for the Family Research Council. He oversees the Communications, Policy, and Church Ministries teams. He previously served as chief-of-staff to two Members of Congress and as a presidential appointee in the administration of George W. Bush. Rob Schwarzwalder not only disregards the Biblical passages favoring the use of herbs, he ignores that of not lying and stealing, as prohibition not only is based upon lies, particularly disregarding dilution-concentration factors, but also steals property and lives. Family Research Council is merely a Mystery Babylon-Roman Catholic front group. 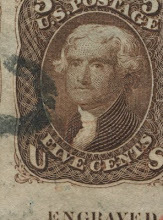 After the Harrison Act was effectively declared unconstitutional in 1969 for resting upon the power to tax, the political sell outs came up with the 'Controlled Substances Act' based upon the power to regulate interstate commerce. "... any material, compound, mixture, or preparation, which contains any quantity of the following..."
The failure to account for actual potency of a preparation is a major issue. For instance with Coca leaves and cocaine both within schedule II, with for instance no addressing the actual amount of cocaine per say fluid ounce of a preparation, nor the route of administration. The effect of this prohibition upon certain drugs and any preparations containing such was a shift to these drugs availability in their more concentrated forms. Cocaine, Caffeine and Nicotine are all alkaloids that serves as CNS stimulants, that are found naturally occurring in small amounts in plants ... the whole issue of dilution-concentration goes about completely ignored by drug war supporters and reformers! Pure caffeine powder can be purchased by anyone to boost the caffeine content of food or beverages. However, this product is not recommended. Just 1 teaspoon of caffeine powder has about 4706mg of caffeine, which is enough to cause serious harm and severe overdose symptoms. This product is the most dangerous caffeine related product! The FDA recently posted a warning, urging consumers not to purchase this powdered caffeine. The only people who should consider this product are those that have a digital scale and can precisely measure out a safe dose of caffeine. Using common measuring devices like measuring spoons etc. will likely result in too large of a dose. Some caffeine powders also use an "anti-caking agent" but this doesn't change the caffeine content enough to justify being more generous with this type. We feel that unless you are a food or beverage manufacturer, buying bulk caffeine powder isn't a wise decision unless you buy the necessary equipment needed to measure it accurately. Those in possession of caffeine powder should keep the product in its original packaging and out of the reach of children. At least two deaths have been officially reported from overdosing on caffeine powder when accidentally ingested 2 spoonfuls. 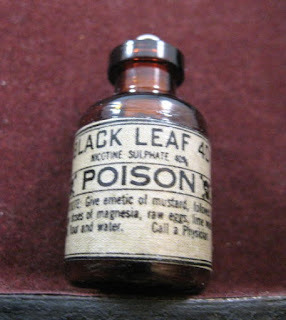 Nicotine is extracted from tobacco or related Nicotiana species and is one of the oldest botanical insecticides in use today. 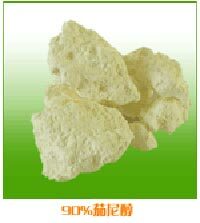 It's also one of the most toxic to warm-blooded animals and it's readily absorbed through the skin. (Wear gloves when applying it, follow label directions and keep pets away from application areas.) It breaks down quickly, however, so it is legally acceptable to use on organically grown crops. Nicotine sulfate has a DANGER warning.